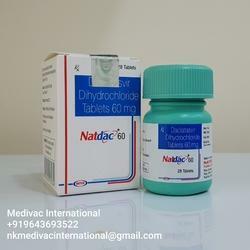 Offering you a complete choice of products which include daclahep, mydacla tablets and natdac daclatasvir tablets. 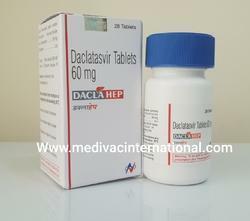 Daclahep is a prescription drug and should be used under proper medical guidance and advice.The information provided here is for general educational purposes only and does not constitute medical or pharmaceutical advice which should be sought from qualified medical and pharmaceutical advisers. 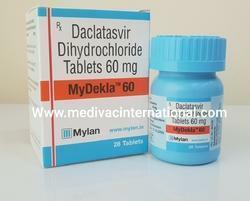 Daclaheb 60 mg tablets contain 60 mg daclatasvir (equivalent to 66 mg daclatasvir dihydrochloride) and the inactive ingredients anhydrous lactose (116 mg), microcrystalline cellulose, croscarmellose sodium, silicon dioxide, magnesium stearate, and opadry green.